While amps are vital for every style and genre metal is probably one of the music genres that benefits the most from a good amplifier. While pedals are vital for your performance without a quality amplifier you can forget about that perfect, punchy tone that makes or breaks the deal. Guitar amps for metal might be a bit more niche than a list of the best electric guitar amplifiers, but if you are sure that metal is your passion than going for a model that is made specifically for it will make your experience more enjoyable. But do not think that there is a lack of choice in this category. In fact, you might actually have a problem with choosing out of too many options. Some of the best manufacturers like Marshall and Peavey have been making the best guitar amplifiers for metal. While it might be a bit intimidating and overwhelming at first you will figure things out. And to do so check out this five amps that we have chosen. While metal amps might cost a bit more we have tried to incorporate some of the cheaper models as well. You might have guessed from the name of this amplifier that it has something to do with Joe Satriani, a famed rock guitarist, and you would not be wrong. The JVM‌-410H is said to have been created by standards and requirements of Satriani. So if you are a fan of the man, his music, and want to emulate his style there is no better starting point than this. Of course, you would have to spend over $2000 but quality amps do not come cheap especially pro level ones. We would not be listing this amp here just because we are Satriani fans (although we would love to). This amp is a creme de la creme of amps that are perfect for metal. It features four channels – clean, orange crunch, red crunch, and overdrive channels (made to have less compressed sound). So if you are looking for an open sound with still a lot of punch than this model is the way to go. What do you do if you want a boutique amp but can’t really afford it? Well not much, but Randall seems to be doing quite a bit to help those of us who have the ambition to play the best without having to spend too much. 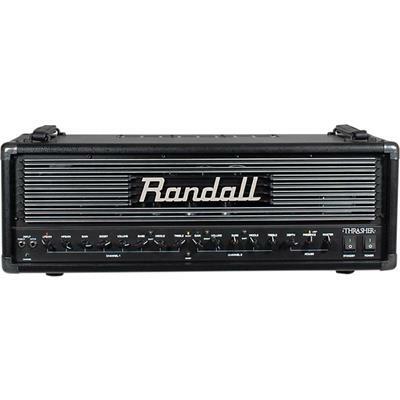 Through their partnership with Mike Fortin, one of the best boutique amp creators nowadays, Randall came up with Thrasher, an amp that deserves to be in the pantheon of all of the best amps. With 120-watts and quartet of 6L6 power amp tubes, this amp will destroy any stage you will set your foot on. With great power comes … well, not responsibility but great tone (at least with amps). This model has dual-channel with EQ control for both. This is a dream come true for anyone who is obsessed with tone shaping. There is also boost mode, high and low-frequency Gain controls, Presence/Density power amp voicing, and many features that “doom” this model to be one of the best metal-friendly amplifiers on the market. While the two amps that we talked about so far are amazing the truth is that unless you are a pro player you probably won’t be able to afford it or are just a normal human who does not want to spend thousands of an amp. 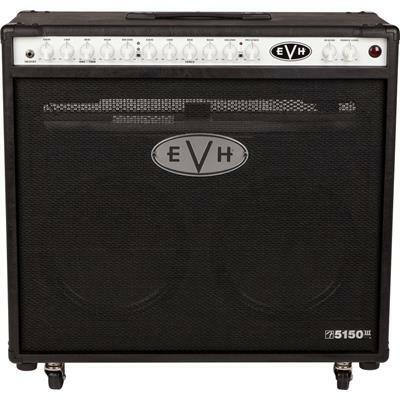 That does not mean that you can’t get a quality amplifier and EVH 5150III is here to prove it. This is a tube combo amplifier with 50-watt power and two 12-inch Celestion G12M speakers. Now, while this is a step down in price from the previous two models this is still a pretty luxurious amplifier. It’s a tube amp, thus created amazing tone no matter what and has beautiful, natural distortion. Don’t fret 50-watts. A tube amp with 50-watts can do a lot more than a 100-watt solid-state. Other things you find on this amp are the three switchable channels that will give you versatility and help you find your perfect tone. It should not come as a surprise that tube amps are pricey. They are renowned for their amazing tone but, unfortunately, they are infamous for a lot of maintenance. Tubes are fragile objects after all. One small crack and you have to change the tube. Even if you don’t damage them, they usually do not last that long. So when buying a tube amp you have to consider things: 1. The budget for maintenance 2. The durability of the tube amp you are getting. While I won’t get into the first one I want to talk about Bugera TriRec Infinium, one of the more durable tube amplifiers I have seen in a while. This model has to offer a lot more than durability though. With three channels including classic, vintage, and modern you will be getting a lot of versatility. 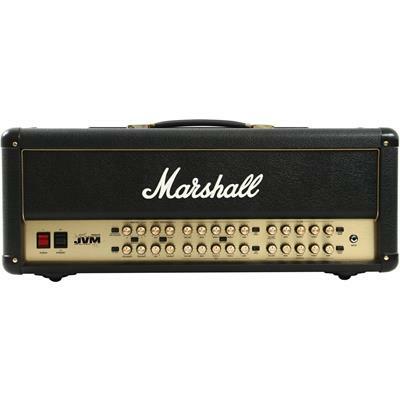 Along with that, this is a 100-watt model but you can dial from 1 to 100 without breaking a sweat. While not the priciest option I would recommend this model to traveling musicians who want an affordable amplifier that can take a ride in a can without getting damaged. We will finish this list with the cheapest option (well… cheapest compared to the other models). Even if you are a beginner you probably have heard about Peavey and know that their amps have quite a good reputation no matter if they cost thousands or just a few hundred dollars. The 6505+ 112 is a combo electric guitar amp that can be used for metal. With 60-watts and five 12AX7 preamp tubes and 2 – 6L6GC power amp tubes this baby will blow your mind and resound in all venues. 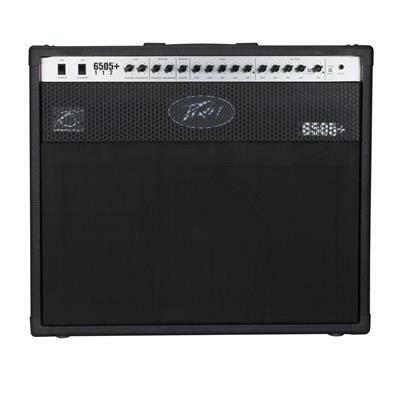 The 6505+ 112 is based on Peavey 6505+ but is a lot more compact and lightweight without losing any power and capabilities. There is 3-band EQ for each channel of the amp. This is topped off with MSDI (microphone-simulated XLR direct interface) which gives a pretty decent and authentic miked-cabinet simulation. This is a perfect model for someone who enjoys metal but is not necessarily playing just metal. A perfect starting point for a beginner who is looking for quality over price. It is not a big secret that metal needs pedals, but a lot of people concentrate more on pedals and get a basic amplifier without realizing that a good amp will elevate your performance and work better with pedals of your choice (to learn more about pedals look at our article about the best pedals). No one has an unlimited budget for their amps. Even the top metal players have some limit. It might be a lot higher than yours but no one is going to or wants to pay more than is due. 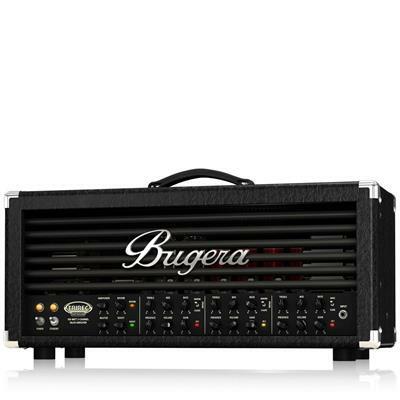 That is why the key of buying a good amp for metal is not as much about the cost as it is about the variety of effects and features and how they fit your style and choice of the subgenre. First of all, as already mentioned, determine your budget. That might seem like an easy task. You will look into your account and go “the cheaper, the better” but trust me, saving up a bit more for a while and getting a better amp will save you money in long run. Know how you will be using your amp. Will you be practicing at home most times and not doing any gigs? Then you do not need to get an amp with high wattage. Are you just a beginner with a pretty cheap guitar? Then unloading thousands on an amp won’t do you any good. 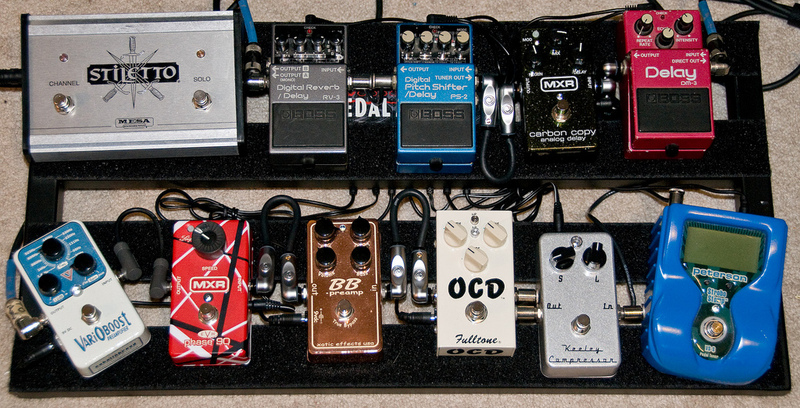 But if you plan on gigging and in a band you have to consider wattage, effects, and combinations with pedals that you already have or will buy. The other concern is what a beginner metal guitar amplifier is. Beginner amps are usually synonymous with cheap but do not look at it that way. If you are actually a beginner look at the effects and basic features as well as ease of maintenance and controls. While the more expensive amps have more effects and presets, you might not even be using most of them in the first couple of months of your playing. Figure out what presets work the best for you and when the time come get a better amp that will have all the presets that you have been dreaming of. You have, hopefully, decided on which subcategory of metal you want to play (or several categories). Metal is a like a tree with a hell load of different branches. All these branches are very niche and specific to amp requirements. For instance, if you are going to play heavy metal make sure you have an amp that can create crunch, distortion and have features that will allow for great solos. For Thrash, you will need something with good gain and balances mids. There are so many other genres like Goth, dark, doom, metalcore and all of them can be played on a metal-friendly amplifier but the more you know about the specific subgenre the better equipped you will be to find an amplifier that suits the genre. Talking about the best guitar amplifier for metal is not an easy thing to do for several reasons. First of all, there is no one best amp for metal. Second of all, metal is not just one homogenous genre that accommodates all amps and techniques. As I have said, when looking into amps know your genre or at least several subgenres that you might be interested in. Learn more about specific effects (maybe pedals) necessary for that category and then it might be a bit easier to hone down on just a few models. Trust me, there are a lot – even too many – amps that are metal-friendly. Do not go just for the most affordable amp or for one that is made by a well-known brand. A lot of lesser known (to mainstream public) brands make the best, niche metal amps that you might not even have heard of. Of course, just an amplifier won’t do you good. You have to have a metal guitar that perfectly complements the amplifier (or vice versa). If you do not have a guitar yet, look through our articles about the best guitars for metal.